One of the best (and easiest!) things you can do to improve your health is make sure you’re sleeping on a comfortable mattress. Poor sleep contributes to a host of health problems so you owe it to yourself to make sure you’re getting your best night’s sleep. By shopping Exclusive Furniture’s collection of mattresses from trusted brands like Sealy and Tempur-Pedic, you’ll have one less thing to lose sleep over. 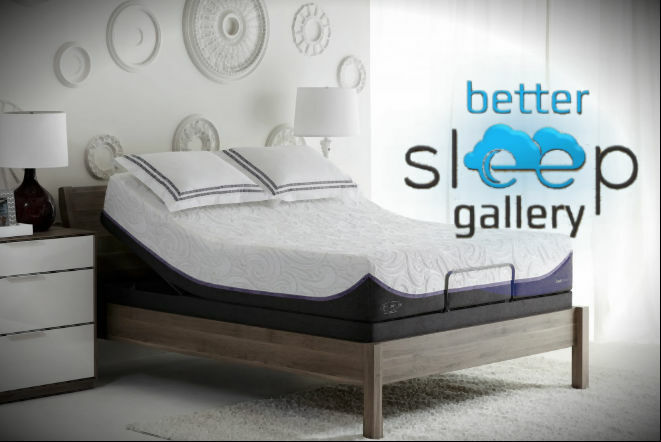 Visit one of our stores to find everything you need for a better night's sleep - from pillows to mattress protectors - including advice on how to find the perfect mattress for your sleep style and budget! The iProtect Mattress Protector features a brushed fiber surface which quickly dissipates and evaporates moisture to ensure a cool, comfortable, sleep with no clammy feeling. The breathable, waterproof underside coating acts as a barrier to keep your mattress fresh from dust, dust mites and other allergens, as well as liquids and stains. The performance material is naturally anti-microbial and will not trap moisture and bacteria. Plush and luxurious, the Sealy Conform Thrilled King mattress uses exclusive Posturepedic Technology to deliver the all-over support you want, with reinforced support under the heaviest part of your body. 10.5-inch firm mattress with an Ultra-Stretch Comfort Loft Cover with Moisture Protect, a soft knit fabric with durable spun yarns for a plush feel and designed to draw moisture away from your body during the night, helping to keep you more comfortable. 2.5-inch Sealy Chill Gel Memory Foam and Comfort Sense Foam designed to respond to your body's unique shape with our advanced cool-to- the-touch Chill Cooling Technology added to the surface. The NEW M1 Performance Mattress provides truly balanced comfort with a satisfying “just right” feel. The M1 combines our Boost® and React® specialty foams to create a smooth, adaptive surface with elevated support. The Sealy Trust II Hybrid combines top quality gel memory foam with the support of individually wrapped titanium alloy coils. As a result, this mattress provides cool, comfortable comfort, with deep down support. Acquire a mattresses that can give you the comfort you want, with the support your body truly deserves. If you switch between sleeping on your back and on your side, try the TEMPUR-Contour Side-to-Back pillow. A curved shape and two zones for back and side sleep offer firmer support for your neck and a softer center to cradle your head. The TEMPUR-Ergo Premier adjustable base puts you in control with a virtually unlimited number of ergonomic rest positions and rejuvenating massage feature. The wireless remote lets you control movement and massage preferences from the comfort of your bed, as it electronically adjusts to your every whim. Create a place of true renewal whether you’re sleeping or relaxing in bed. The NEW M1X takes comfort and responsiveness to a whole new level. Plush design cradles every curve while maintaining resilient stability for superior, lasting comfort. Our unique combination of premium, high-resiliency React® and Boost® X foams allows maximum air flow in, around and throughout your mattress, reducing excess heat so you maintain your optimal temperature.